We will review the progress of detection algorithms in computer vision with the more in-depth analysis of the state of the art solutions. Starting from the problem definitions, through the historical challenges and advances, towards a thorough comparison of the recent architectures. We will discuss the differences between the three types of object detection meta-architectures: single shot, proposals based and the R-FCN. The emphasis will be put on the Fast R-CNN architecture for detection and Mask R-CNN for segmentation, describing their strengths and weaknesses. Finally, we will show how such methods work in the production environment at Tensorflight. 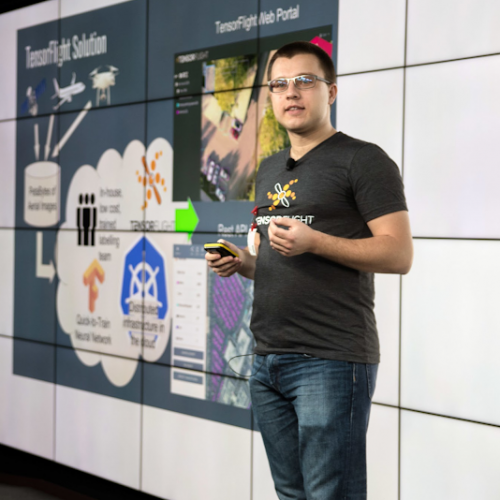 Zbigniew Wojna is deep learning researcher and founder of TensorFlight Inc. company providing instant remote commercial property inspection (for risk factors for reinsurance enterprises) based on satellite and street view type imagery. Zbigniew is currently in the final stage of his Ph.D. (already with more than 2000 citations) at the University College London under the supervision of Professor Iasonas Kokkinos and professor John Shawe-Taylor. His primary interest lies in finding and solving research problems around 2D machine vision applications usually in big scale. Zbigniew in his Ph.D. career spent most of the time working across different groups in DeepMind, Google Research, and Facebook Research. It includes DeepMind Health Team, Deep Learning Team for Google Maps in collaboration with Google Brain, Machine Perception with Kevin Murphy, Weak Localization Team with Vittorio Ferrari and Facebook AI Research Lab in Paris. His company TensorFlight Inc. was featured as top 2 AI startups among few hundreds by InnovatorsRace50 and closed seed funding last year.